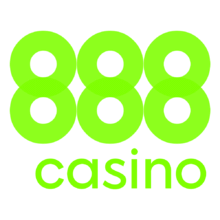 888 Holdings & New York Jets form sponsorship deal! As of late October, Gibraltar based, 888 Holdings (888) landed a sponsorship deal with the New York Jets. Which, made them the first NFL team to ink a deal with an online casino operator. Although the industry welcomes this news, there are some critics. In the meantime, let’s get into the details of this unique deal that has everybody talking. After all, this is a historic deal that’s going down! And, this is also a game changer! Hate it or love it, either way, this partnership between 888 and The NY Jets is official and in progress. In fact, 888, said, “We’re Proud Sponsors of the New York Jets.” So that’s a pretty clear statement! Also, if you’ve been to MetLife Stadium recently, then we know you’ve seen the big orange 888 banners! And, since the banners across the stadium promote 888, not 888sports.com, there’s no direct violation of any NFL rules that prohibit teams from advertising online sports betting sites. Although we think this is likely to change since other partnerships are forming between NFL teams and brick and mortar casinos. After all, what’s the difference? As we mentioned above, the sports betting landscape is really changing. With that said, we would like to share a few examples of that. First, the Baltimore Ravens and Horseshoe Casino recently announced a partnership. Second, the Dallas Cowboys also recently scored a sponsorship deal with WinStar World Casino. Not to mention, the NBA and NHL have both inked a partnership deal with MGM. Also, the New Jersey Devils established a partnership with William Hill. So as you can see, the game is changing. You can accept it or not, either way, a new era in sports betting has arrived. On that note, we look forward to how the NY Giants are going to get involved. After all, they share MetLife Stadium with the Jets.